Ally Scraps: Scraplift Chain and a new sketch challenge! 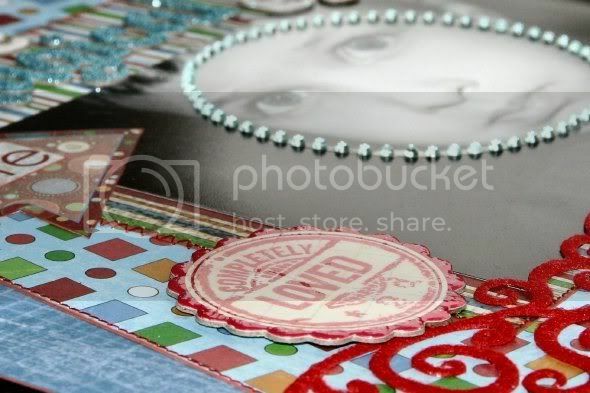 We've been having a blast on the forum with a new game: a scraplift chain! This round is just wrapping up, but I'm sure we'll do this again in the future. You can check out this thread to see the great completed lifts! For my page, I lifted Trish's we're tongue rolling. My page, those magical eyes features the fun new Dream Street Fun & Games collection, definitely one of my faves from them! 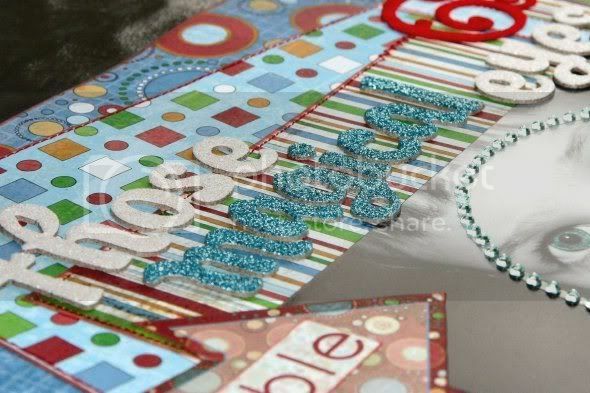 Also the new glitter chipboard Thickers by American Crafts. I used a piece of Kelly Panacci chipboard from the 360 collection also, stamped on it, and then added some diamond glaze on top. I love the effect! See how pretty those glittery Thickers are? I would love to see what you do with the sketch, and don't forget to post your page in the Sketch Challenge thread for a chance to win a $10 gift certificate to the store!